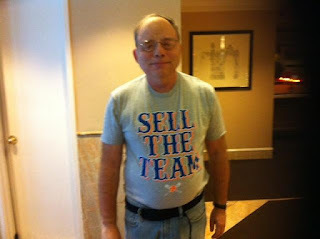 I met up with Alan Berman at the Met game on Saturday afternoon June 15 as we had planned. It was a lousy game as the Mets lost 5-2. On Sunday he posted on Facebook that he was going to Westchester to play golf. There were no further Facebook posts from the world’s greatest Facebook addict. On Tuesday morning I received an e-mail from Terri saying she was really worried since there were no postings or e-mail from Alan in over a day which is so unlike him. After I tried to call him on Tuesday afternoon and evening, I really suspected something wrong and searched his name in Google News. I found the terrible report from News 12Westchester that he was killed in a terrible car accident. I don’t know the whole story, but he could have suffered a heart attack, seizure or stroke while driving. I first met Alan in July 2006 at Shea Stadium. Back in June I organized a Meet and Greet at Ellen’s Stardust Diner for the first anniversary of the change of WCBS-FM from Oldies to the dreaded Jack Format. Alan was apologetic saying that he really wanted to come, but he had tickets for the Met game. He asked for my phone number and we talked about oldies, radio and baseball. We found at that we both went to school in Rhode Island in the early 1970s. He went to Vernon Court College while I pursued my studies in chemistry at the University of Rhode Island. We recalled listening to famed morning DJ Salty Brine on WPRO Providence. Everybody in Rhode Island listened to Salty back then. It late 2006 we both became hooked on Saturday Night Oldies heard on WABC. The show brought oldies back to terrestrial radio for 4 hours a week after WCBS-FM was hijacked. Frank D’Agostino organized the first Meet andGreet in December 2006 for the first anniversary of that show. We met at Ben’s Deli on West 38th Street. These gatherings became the most important thing in Alan’s life. As soon as one event ended, he started to talk about the next one. He always speculated on who was going to come and how many people we would get. 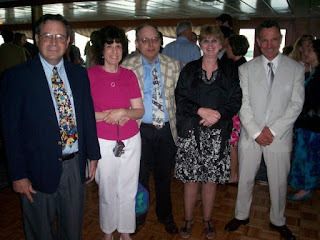 The next big event was the WABC Rewound Cruise in June 2007. On that day Alan was the happiest man on the face of the earth. 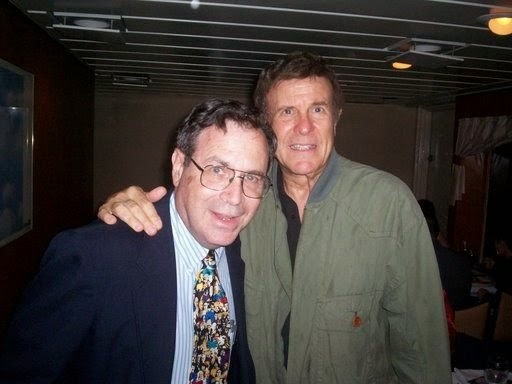 The guests included Cousin Brucie, Dan Ingram, and the late Soupy Sales. We met same radio enthusiasts including Ron Soldano, Rob Frankel, Peter Kanze, Eileen G, Eileen W, Paula Ross Guice, Carol Kruger, Jeff Scheckner, Jay Mandel and others. The Meet and Greets that began in 2006 became yearly events. As soon as one gathering ended, Alan would talk about the next one. He always speculated on who was coming and how people we would get. Over the years several major radio personalities including Bobby Jay, Pat St. John, Jim Kerr, Broadway Bill Lee, Keith Allen, Jim Kerr, Carol Miller, Cool Bobby B and Bob Radil came to the events. In a short period of time Cool Bobby B became Alan's favorite DJ. 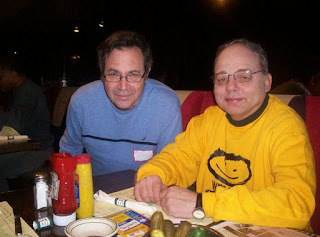 We had major gatherings at Ben's Deli every year which became better as the years went on. Of course Alan was always the first to arrive and the last to leave. 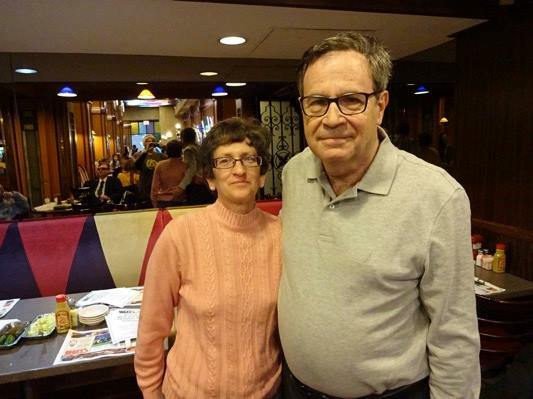 We had several smaller gatherings over the years at various places in Queens and Manhattan. One of the gatherings was at the Long Island Radio Day in April 2010. Alan met Mary, Linda and Paula in Manhattan and drove them to Post. The highlight of that day for me was meeting the late Pete Fornatale. 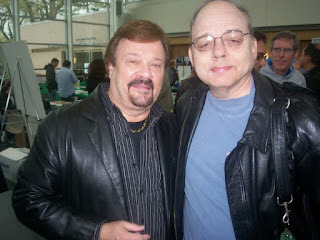 Alan met Don K Reed at the Long Island Radio Day. Alan always told me that the hijacking of WCBS-FM was a blessing in disguise since it created a virtual community of oldies enthusiasts who were outraged at the worst format change in radio history. That virtual community became real through the various gatherings. Alan made many friends in this radio group. He was also a big Bob Dylan fan. 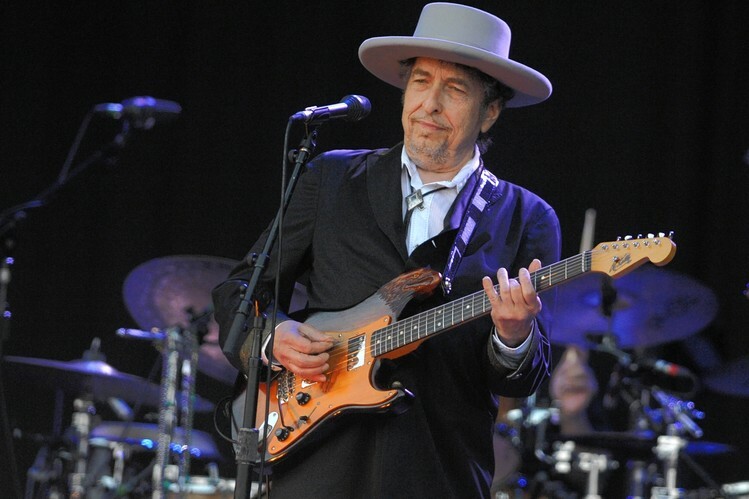 He always said that I was Dylan's biggest fan, but I respectfully denied that. Mel Prussack who has a Bob Dylan museum in his home has that distinction. Alan's mother was in failing health for several years before she died in May 2010. Alan spent so much time caring for her during her illness. Although Alan was a big Met fan he also rooted for the Yankees (except during the Subway Series) He and I were the same in that regard. He was going to go the Yankee Old Timers game on June 23. Alan was excited when WCBS-FM returned in July 2007. However, he was very disappointed when their playlist emphasized 70s and 80s music while he preferred the "Heart of Rock n Roll." He embraced many online radio stations including Pop Gold Radio, Hy Lit Radio, and Rewound Radio. I last saw Alan on Saturday June 15th at Citifield as we saw the Mets lose to the Chicago Cubs 5-2. I first met him at a Met game and saw him the last time at a Met game just one day before his tragic accident. Alan was on his way home after playing golf. Alan worked in his family's insurance business until it was sold in December 2009. He retired at that point. He spent his last years pursuing the things that he enjoyed. Rest in peace, Alan. You will be sorely missed by your many friends. Well written Bruce and said! no one could have said it better! He will be missed by all! I certainty hope the meet and greets continue in his honor! I never got to meet Alan (The CBS-FM gathering in 2006 wound up being the next-to-last time I would be in NYC before my mother passed away a year-plus later), but I know he was beloved by many of you. 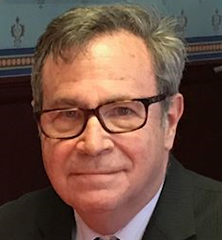 We do not know one another, but I wanted to extend my deepest condolences to you concerning your good friend Alan Berman. My husband is a Yonkers Firefighter and although his "house" is not Station 14, he has completed a number of shifts at that location. My husband was not working on Father's Day, but heard about the horrible crash from his fellow firemen. I did not know Alan Berman, but ever since I have heard about his tragic passing, I have found myself drawn to learning more about him. Since Monday morning when news of the accident reached my husband, I have been on an endless search to find out as much as I can about Alan. I stumbled across your blog and was so happy to read a number of the posts in which you made reference to Alan and his love for the Mets and oldies radio. He seemed like such a wonderful, friendly man, especially from some of the photos you posted of him on your blog and from the beautiful words you shared with us about Alan in your most recent post. It really saddens me to think of the way he passed. My husband and I and a good friend of ours, would love to see Alan honored and remembered in some way. In reading your blog, it appears that Alan was passionate about many things. Perhaps you and Alan's many friends are already thinking of ways to honor his memory by hosting an event celebrating the very special man he was. Please let us know if there is any way we may contribute to making such a tribute happen. I continue to keep Alan in my thoughts and prayers as well as his closest friends and family as you all struggle to make sense of his untimely passing. Bruce, I was so sorry to hear about the loss of your friend Alan. It's sobering to think how fragile life really is.At least it doesn't sound like Alan suffered in his final moments. Who knows if there is a master plan for us, I guess we have to learn to accept each day we are on earth as a gift. What a beautiful tribute you wrote to Alan. I thought the first time I met Alan was at the WABC Cruise but it had to be at the Dec. 2006 oldies gathering. Alan had a good heart - several times he met Larry Stoller at Grand Central Station and helped him get to the Meet and Greets. I remember Alan asking me for my cell phone number when he was going to pick me, Mary and Paula up to take us to Long Island Radio Day. At that time so few people had it and I reluctantly gave it to him but told him the reason why and that he should not call me except in an emergency. He was very taken aback when hearing my reason and said he had no idea but he kept to his word and didn't call. He brought hats he had to Mary after she lost her collection in Superstorm Sandy. I enjoyed reading his Facebook posts about where he was going, what he was eating, what he was listening to,etc. I knew something was up (but certainly not what happened)when I didn't see Alan write to Michael Batcho about the passing of Michael's Dad at the beginning of the week. RIP Alan you are sorely missed by all of us who knew you. Very good write up Bruce. Alan will be deeply missed by his friends. Bruce- This is such a nice tribute to Alan! I am going to miss interacting with him on Facebook and seeing him at the Meet and Greets, but I'll never forget him! Wonderful tribute to Alan, Bruce. We'll always remember him fondly. Beautiful tribute Bruce. I was among the last to learn of Alan's tragic passing after seeing posts by many of his friends. I can obly imagine your shock when you saw the news article. Hard to believe he's gone. Let's definitely do a special tribute to him at the next oldies meet & greet. Very touching, Bruce. Well done.